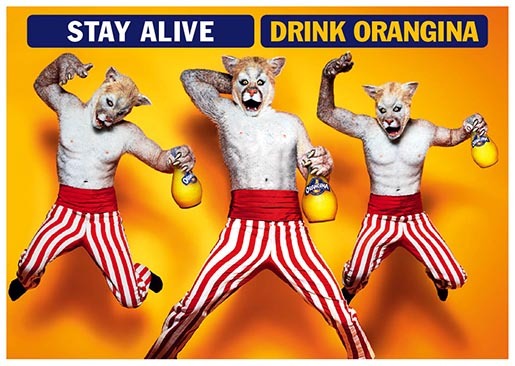 Orangina, the French juice brand, has released “Stay Alive, Drink Orangina” (Restez Vivants, Buvez Orangina), a new television and print advertising campaign touting survival statistics. 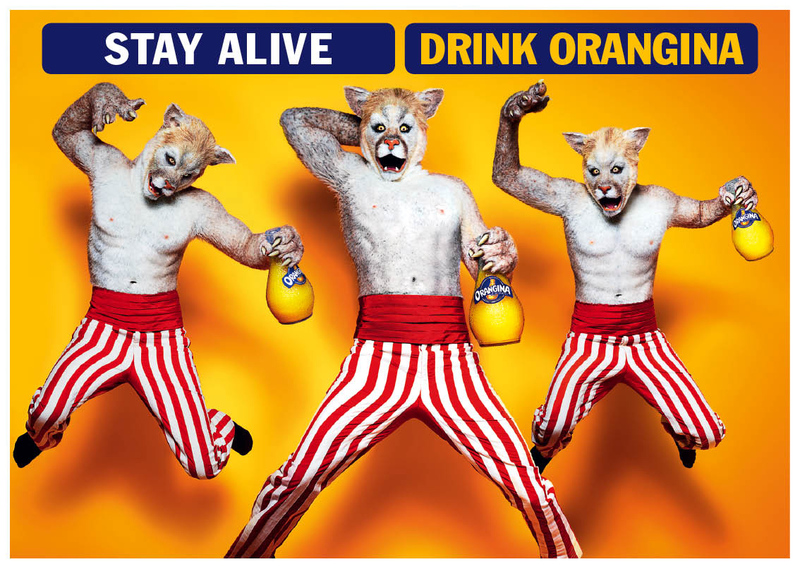 Television commercials, Pigeon and Cannon Ball, suggest strongly that drinking Orangina increases one’s chances of a long and safe life. 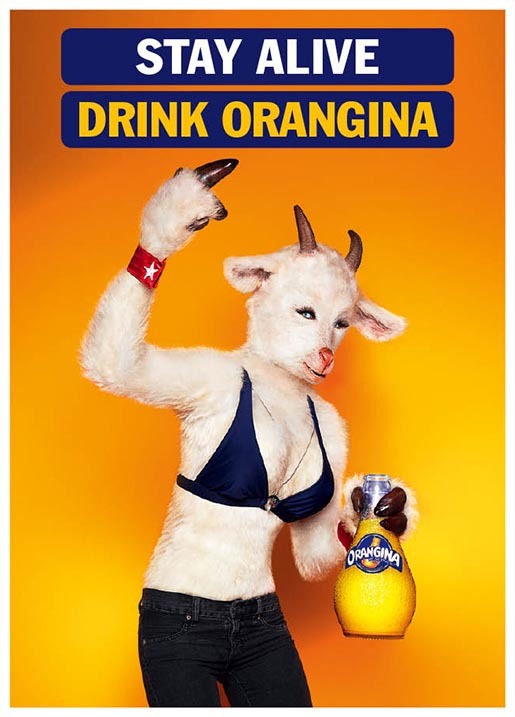 Photographs by Rankin feature four animals who have discovered the staying power of Orangina. 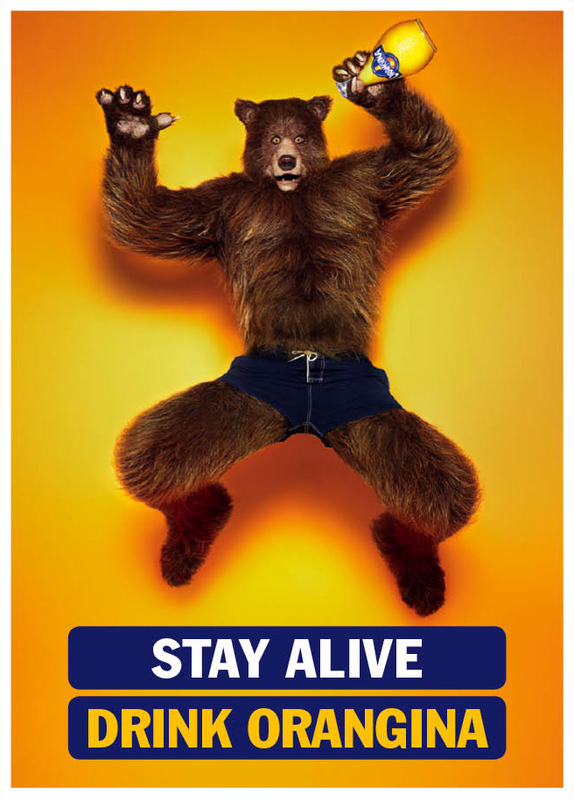 The Stay Alive TV campaign was developed at Fred & Farid Paris and Shanghai by creative directors/copywriters Fred & Farid, copywriters/art directors Gian Carlo Lanfranco and Rolando Cordova, agency supervisors Mehdi Benali, Hélène Camus, Olivia Courbon, brand supervisors Hugues Pietrini, Stan de Parcevaux, Florence Burtin, TV producer Karim Naceur and post producer Elise Dutartre. 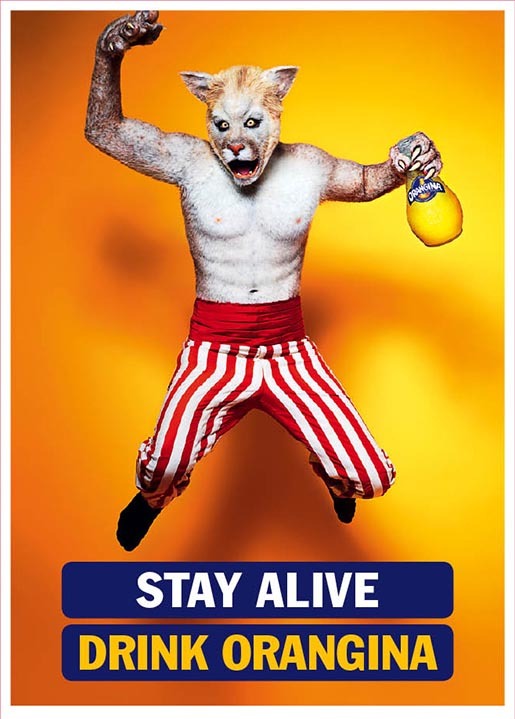 Filming was shot by Glue Society director Gary Freedman via Wanda Productions with producer Jerome Denis. 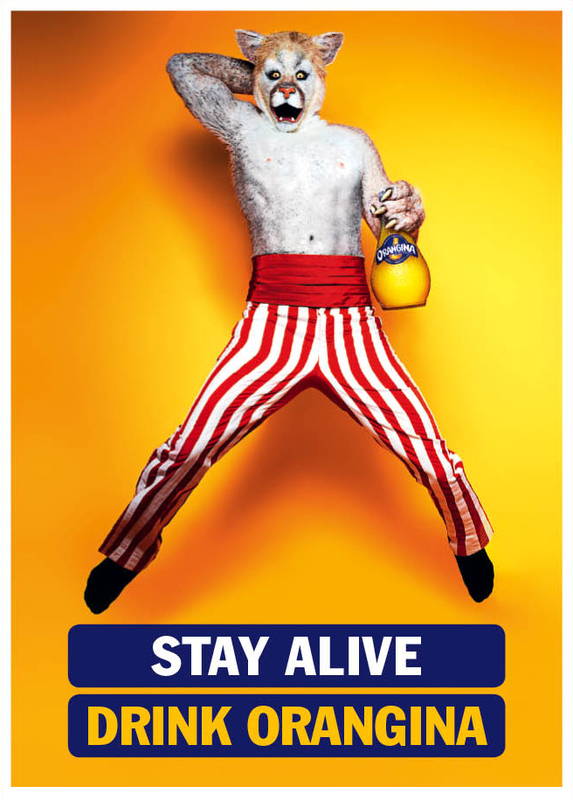 The Stay Alive print campaign was developed by creative directors Fred & Farid, copywriters/art directors Nick Moss and Dan Northcote-Smith, art director Volker Gehr, art buyer Carmela Guiragossian and photographer Rankin, agency supervisors Mehdi Benali, Hélène Camus, Olivia Courbon, brand supervisors Hugues Pietrini, Stan de Parcevaux and Florence Burtin, photo producer JR Waddell, on set photo producer Andrew Davies and executive producer Nina Rassaby-Lewis.